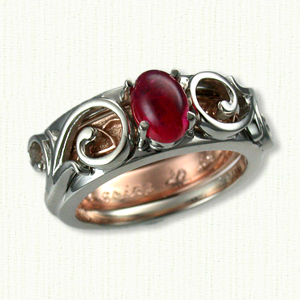 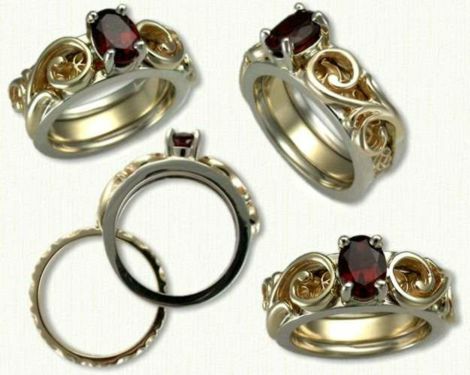 Shown: Floral scroll reverse cradle in 14kt white and 14kt yellow gold set with an oval garnet. The inside band shown is 14kt yellow gold and 3.5mm wide. 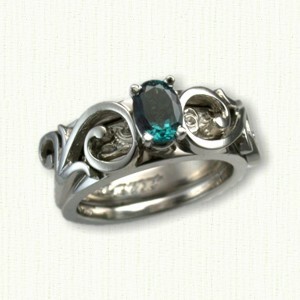 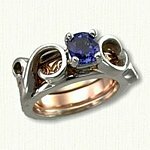 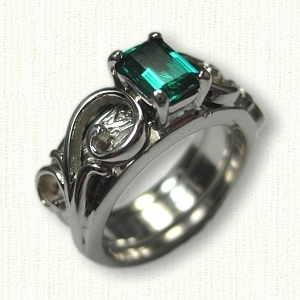 Visit our matching Floral Scroll Wedding Bands page for other ideas.